Z Team comes roaring back with the webseries Drained World! 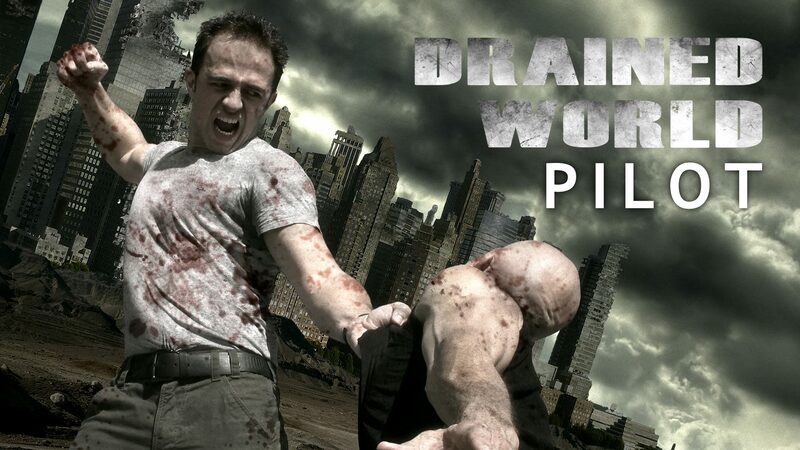 Z Team, the group behind what was my favorite martial arts film of 2014 in Die Fighting, return here with the pilot episode for their web series Drained World, a dystopian story following Frank, a lone wanderer after the world is nearly annihilated due to the Nuclear War of World War Three. The tone of the story, from the opening and the song that plays, is somber and lonely, just as it should be. The web series has some tremendous fight scenes (that dude who gets 360’d and then punched in the air is my favorite moment) which are shot in some very original ways, and dammit those guys are gonna start accusing me of stalking them with the praise I keep heaping on them, but it’s as deserved here as it was for Die Fighting, and I’m excited to see what they have in store for the rest of the series. Fabien Garcia rocks the fight choreography as well as pulling off some really impressive moves, and is joined by Christy St. John and Antoine Piquet. I can’t help but wonder if this may make a better feature film than a web series, but I’d have to see more, but there is a tremendous amount of ambition here. Watch the film below, and follow them on Facebook here, and even donate money to fund this really, really interesting effort. Looking good, guys! Looking really good! Previous Cornered has been accepted into the Capital City Black Film Festival! Next Cornered is appearing at the Capital City Black Film Festival in Austin TX!